When it comes to choosing a heating stove for your home, the decision could be harder to make than you think. Since it is not just an investment but a personal choice that needs to be made after careful consideration. You may want to consider the layout of your house and the kind of look you desire before you settle on any stove. Then there are other factors to consider like fuel costs, energy efficiency, heating potential, maintenance cost, etc. The conventional approach to choosing a stove lies between wood, pellet and gas stoves. As these are most tried and tested systems, when compared to others in terms of overall cost and heating capacity they have already proven their mettle. Let us further dive deeper into the pros and cons of each of the pellet, wood and gas stoves. These are typically made of compressed sawdust, branch tips, wood chips and other by-products of the lumber industry. The Pellet stove emissions are minimal and don’t require a chimney, and it can be vented outside with an exhaust pipe. The units are thermostatically controlled, and the blowers circulate heat. A Wood Pellet generate relatively more heat than other fireplaces of the same size, they are suited best for heating the entire home or large spaces rather than small spaces. An average 30,000 BTUs/hour pellet stove can provide heat for a 1,800 square feet home. The Pellet stoves come fitted with a hopper wherein you can dump enough pellets to last a day, this further adds to the convenience factor of pellet stoves. The pellet stoves are a little expensive compared to others because of their working parts and inside gizmos. The Pellet stoves require electricity to run adding to their overall cost; however, their cost per month in terms of electricity is very low. You can perform most of the checks for your pellet stove on your own like inspecting the motors and fans and removing any debris. However, servicing the motors or electronic circuit board will require a specialised technician, which can be costly. The Pellets stoves pose some concern for people who have asthma as they are dusty they may cause health problems to people with allergies. 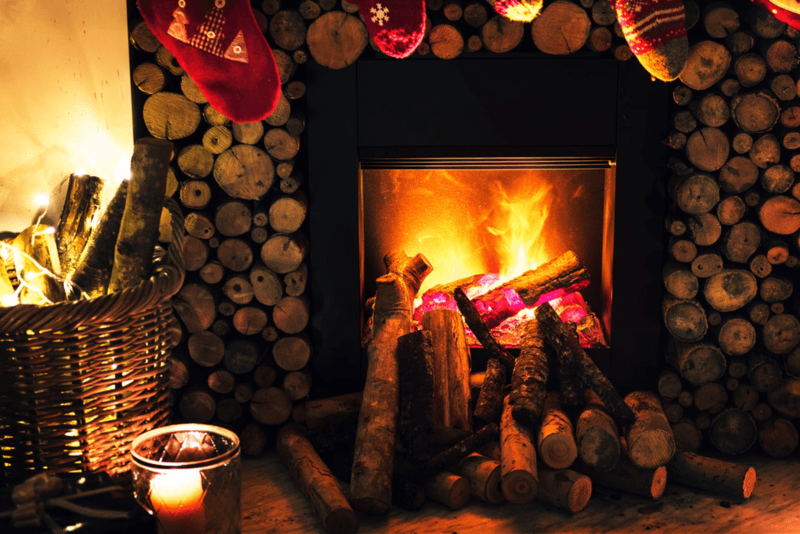 Wood stoves are the oldest and reliable source of heating. 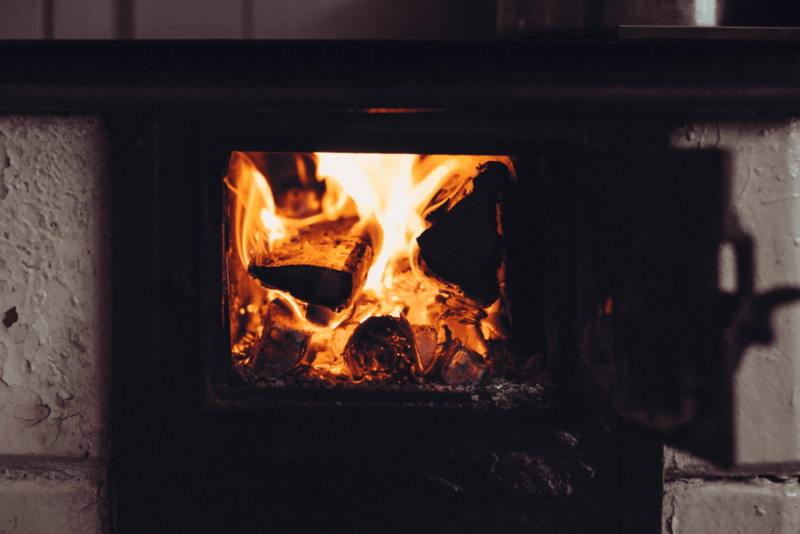 Although wood smoke causes nasty pollution, this problem can be solved if you buy an EPA certified stove as it comes equipped with a catalytic converter and other emissions controls. A high-tech wood stove can perform at a 75 per cent efficiency with minimal emissions and creosote build-up. Many contemporary wood stoves have been re-designed to reduce overall indoor and outdoor pollution, including carbon dioxide, methane, and particle pollution. But the wood stoves have their limitations, and the primary concern is that you have to get dry wood cut and stacked, which can be messy. You need a chimney in your home as creosote can build up, even though stoves and inserts typically offer secondary burns to help prevent that. You should not choose a wood stove if you suffer from respiratory ailments, wood heat dries out indoor air. However, to alleviate this, you can keep a kettle steaming on the stovetop. The wood stove would not be a good choice for those who need the wood to be trucked a long way as you’ll end up paying more for shipping than you save. Gas is a quick clean-burning alternative that emits less smoke and pollution, and the gas stoves are easy to operate as most of them come pre-installed with an on-off button or remote control. In terms of maintenance, an annual inspection is all your gas stove would need, rendering the overall maintenance cost to a bare minimum. Also, there are no health problems caused by the gas stoves as opposed to wood and pellet stoves, thanks to the lack of particulates and smoke. The gas stoves are operable without chimney or electricity. However, you won’t be able to use the blower during blackouts. In most cities, households receive gas through a pipeline and since, there are enough customers the price of the infrastructure is automatically neutralised. Even though operational costs for the gas stoves fluctuate, based on gas prices, they are still considered as a cheaper alternative over other types. 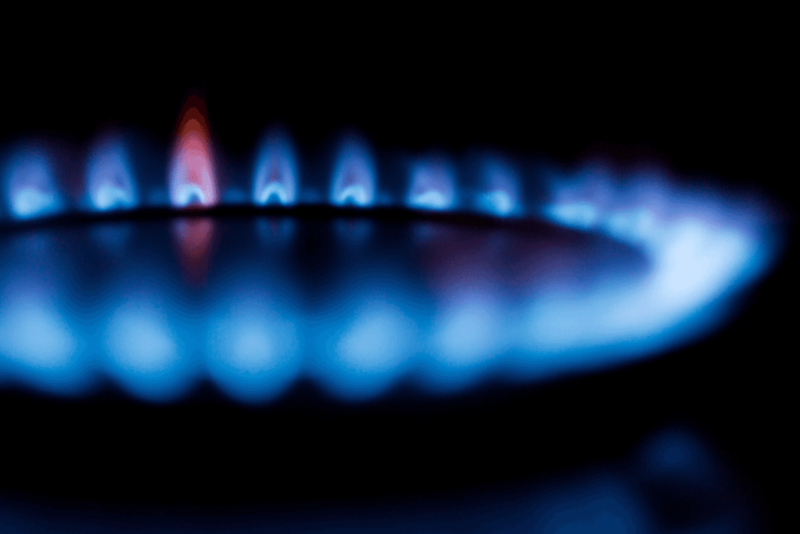 Most gas stoves run on natural gas or propane and depending on the model heat at a range of 8,500 to 100,000 BTUs. Although gas is clean burning, it’s also a fossil fuel, and thus it is a non-renewable source of energy, making it far less eco-friendly than the other fuel alternatives.